The Manage Theme Resources functionality is integrated in all our themes since 29.07.2015. It provides a powerful way to modify the resources added (overridded) by the specific theme. Each our theme has a Manage Theme Resources menu item. 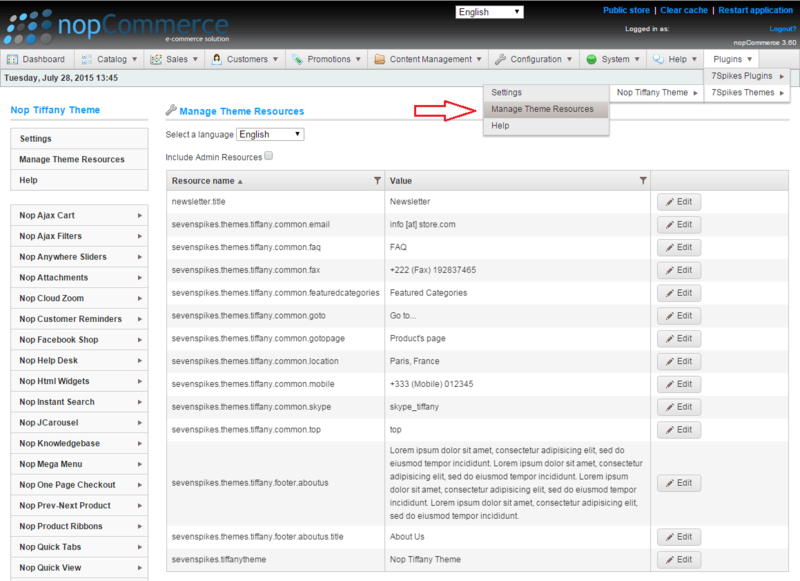 On Manage Theme Resources page you can see and modify all resources for the theme. You have the option to change the language - this will automatically re-populate the grid with the resources for this language. The "Include Admin Resources" checkbox will show the admin resources for this theme.